Are you struggling to lose weight? Do you feel like one thing after another seems to derail you? 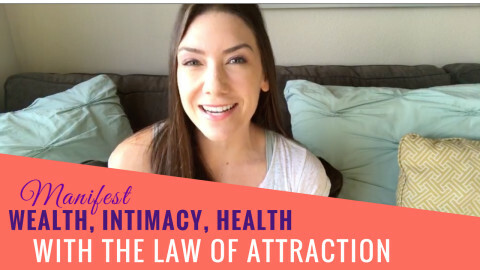 Watch this video to learn 5 unconventional ways to lose weight for women. Maybe you’ve tried intuitive eating but you’re hitting a weight loss plateau or maybe even gaining weight. Or, maybe you’re fighting binge and emotional eating patterns when you’re stressed. Or, maybe it’s a surface-type issue… You’re just not motivated to workout and eat healthy or you have SO MUCH on your plate right now and your busy schedule is keeping you from actually making time for YOU. There are a lot of factors that can play into why you’re struggling to lose weight. 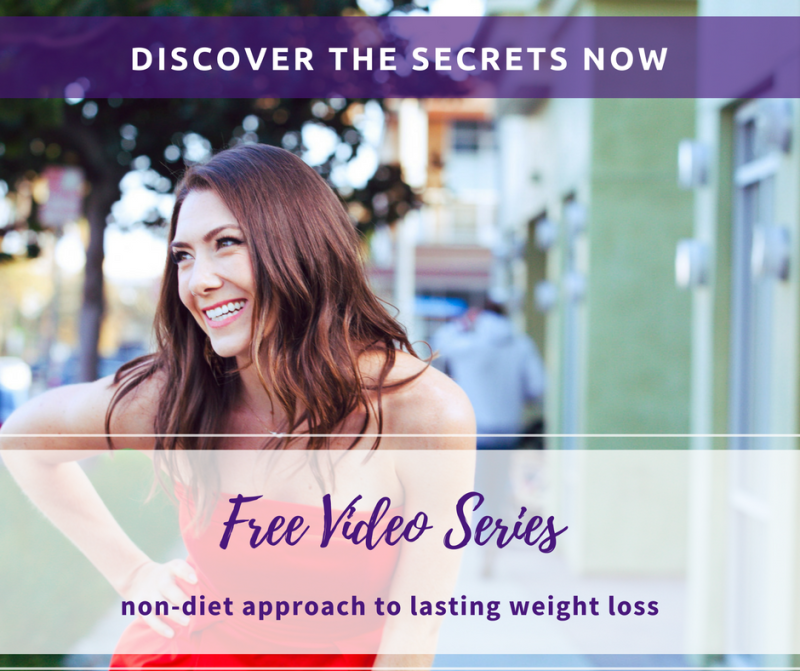 To help you overcome these roadblocks to your "sustainable weight loss" success, here are 5 unconventional ways (that you have probably not heard before!!!) to help you to lose weight (and then keep it off). Everyone talks about WHAT to eat. Today we’re going to talk about WHY. Pay attention to what’s going on for you emotionally. Do you have emotional stress? Do you tend to go into what I call “mindless eating mode”? Are you eating to distract yourself and fill a void? Ask yourself these questions and be TRULY honest with yourself about what is really triggering your eating patterns. Determining why you eat can help you get to the root cause of why you’re struggling to lose weight. After determining the reasons why you eat, the next step is to pay close attention to your meals throughout a day. You can keep a food journal to help you track what you’re eating and see where the blocks are. You might not be fueling your body enough. You might not be getting enough fiber, vegetables, and fruits in your body. Food is NOT the enemy, food is our friend. It’s your relationship and behavior with food that is often sabotaging your weight loss efforts. Take responsibility for your actions and you will find true freedom. This body is your one and only vessel to walk this planet with. Nourish and take care of your one and only body. It supports you 24/7. Rather than guiding yourself towards your dream body by looking at scales and squeezing yourself into your jeans, look at it from a perspective of self-love and confidence. Who cares about the number on the scale! It’s one way to measure, but sustainable, optimal health and feeling amazing in your skin is not about that. It’s about how you feel in your body. Embody someone who has her dream body and life, feel more positive in your own skin and it will allow your body to work with you rather than against you. In order to lose weight and then keep it off, you must design a nourishment-based weight loss plan that is customized to you, your preferences, and your lifestyle. One that you will actually stick to for the long-haul! It makes sense, right? 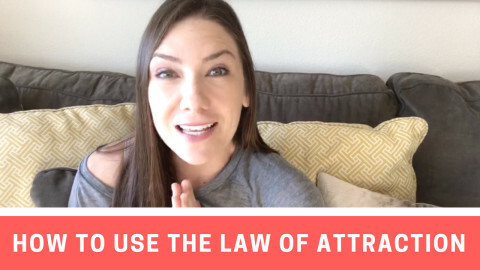 This means that you set guidelines, milestones, and goals for yourself based on how you want to feel instead of shaming your way and restricting your way to your goals. Eventually, with consistency and a willingness to take action, analyze, and adjust as you go, you will achieve your weight loss goals. Quick fix diets are not sustainable. And think about it, what happens if you binge afterward? Your body holds onto excess water and fat because it doesn’t feel safe. It thinks that survival is priority number one and it doesn’t give a hoot about your weight loss goals! Let’s say in the past when you would go on a diet to lose weight you used to cut out all sugar. Now, instead of cutting ALL sugar out, you include special treats as your 3 food-related non-negotiables, including them in amounts or in options that feel good to you. Here’s the caveat to #3. You know yourself. If you are at a place where you can’t have peanut butter in the house or cookies, remove them... for now. Not out of restriction, but instead, out of self-love. You must be able to discern what the next logical step is for YOU, and that is something that only you know. If you know that you are consistently doing something that is detrimental and it’s causing you to yo-yo and feel terrible, you have to take an honest look at it. Shine that light on those dark places, and decide what the most loving thing would be that you could do for yourself. Do NOT be a mean girl to yourself, this will only stress you out and this is another huge roadblock to your success. Again, do everything from the perspective of self-love. Doing things from the mindset of deprivation will NOT serve and help you in the long-run. If you know that you’re obsessing about food, or you’re weighing yourself on a daily basis but feel crappy afterwards, or you’re Googling diet plans and extreme things to get the number on the scale, STOP. Get out of this mode and get into appreciating your body and loving the skin you’re in. Pause from weighing, Googling, looking for results because it is blocking your results, creating emotional stress. Studies show that stress messes with your body’s ability to properly assimilate, digest, and metabolize food. You could eat the healthiest food but if you’re stressed out, your body is not gonna be able to digest it properly. Focus on self-love and nourishment over results, over time you will get the results that you want. Find a community that desires this kind of body and food freedom too. You do not have to restrict and deprive yourself to get results. Never sustainable. You can join my private Facebook community. If you struggle with yo-yo dieting, binge eating, picking your body apart, “scale jail”, compare and despair, making excuses, being a control freak, body and food obsession this is for YOU.